They found that oxygen levels are significantly higher in the eyes of African-Americans with glaucoma than in Caucasians with the disease. 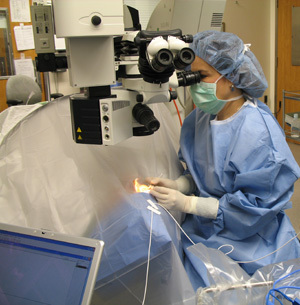 The researchers report their findings in the July issue of the Archives of Ophthalmology. They suspect that more oxygen may damage the drainage system in the eye, resulting in elevated pressure. Higher pressure can damage the optic nerve, causing blindness. The study provides the first physiologic clue about the link between race and risk for glaucoma. Glaucoma is the leading cause of blindness among African-Americans. Compared to Caucasians, glaucoma is about six times more common in African-Americans, and blindness caused by glaucoma is roughly 16 times more likely in African-Americans. The researchers measured oxygen levels in the eyes of patients who were having surgery for cataracts or glaucoma or both. At the beginning of surgery, they inserted a probe to measure oxygen in five places in the front part of the eye. They took measurements near the center of the cornea; in the middle of the anterior chamber of the eye; and in a section of the eye called the anterior chamber angle, located where the cornea meets the iris. That region is particularly important in glaucoma because that’s where fluid drains from the eye. If fluid can’t drain properly, pressure builds up, causing optic nerve damage and, eventually, vision loss from glaucoma. They also measured oxygen in two locations near the lens of the eye in patients having cataract surgery. Oxygen was significantly higher in African-Americans at all five locations. Siegfried, professor of ophthalmology and visual sciences at Washington University, says it’s not surprising that oxygen may play a big role in the development of glaucoma because it may be a source of free radicals that damage cells. Like cataracts, glaucoma is a disease associated with aging. Oxidative stress, an imbalance between these free radicals and antioxidants, is linked to the aging process and many other age-related conditions like cardiovascular and neurodegenerative diseases. All of the patients in this study were having eye surgery, so the researchers did not have a comparison or control group. But the African-American patients having surgery often were younger than Caucasians. A previously published study by Siegfried and colleagues demonstrated that oxygen levels increase in the eye following vitrectomy, the surgical removal of the vitreous gel — a clear, jelly-like structure in the back of the eye — which is performed for a variety of retinal conditions. This increase in oxygen has been shown to be associated with cataract development in these patients, as well as with increased, long-term risk of glaucoma. Siegfried says it is not yet possible to say whether the elevated oxygen levels cause pressure to rise and optic nerve damage to occur, but she says higher levels of oxygen are clearly associated with factors, like race, that carry increased glaucoma risk. Her team has received a four-year grant from the National Eye Institute to further investigate that association. Siegfried and Beebe say the next step is to extend their studies of patients and to explore the effects of elevated oxygen levels in animal models of glaucoma. They also plan to measure oxygen utilization in patients by placing a modified contact lens on the eye to measure how much oxygen is being consumed. Siegfried CJ, Shui YB, Holekamp NM, Bai F, Beebe DC. Racial differences in ocular oxidative metabolism, Archives of Ophthalmology, vol. 129(7), pp. 849-854. July 2011. 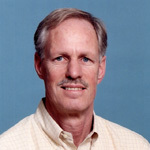 This work was supported by grants from the National Eye Institute of the National Institutes of Health (NIH), the American Health Assistance Foundation — National Glaucoma Research Grant and by an unrestricted grant from Research to Prevent Blindness to the Washington University Department of Ophthalmology and Visual Sciences.